With a history that started back in 1982 named as Opel Corsa, Vauxhall revived and reintroduces its renamed model, Vauxhall Corsa. 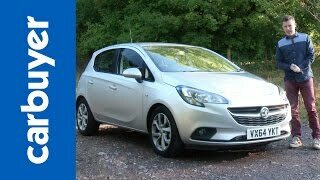 With the knock of year 2015 company introduces its fourth generation model Vauxhall Corsa 2015 with some great changes in its interior and more powertrain options to give you rights to find your ease. 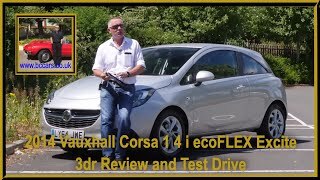 Let us scroll down and have a closer look at the review of Vauxhall Corsa 2015. Interior of Vauxhall Corsa 2015 offers you enough of space with some innovative technologies housed inside. Starting with the cabin we noticed dashboard and instrument panel redesigned as if inspired by the Opel Adam. The hints for this lies precisely in the seven inch color-touchscreen, featuring design that definitely will suit your kids every time they enter in car. Talking about features, touchscreen comes with IntelliLink providing all support to smartphones with Apple and Android operating system. Vauxhall Corsa 2015 enables you with this to swipe through the features like sat-nav, Internet radio apps and Siri’s voice control system. In all the heated front seats and soft tone ambient lighting beneath the full-size panoramic roof are definitely a step ahead the ancestor third generation Corsa. 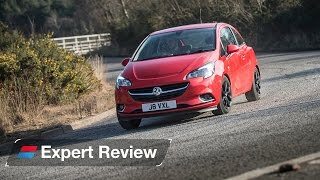 Exterior of Vauxhall Corsa 2015 keep its visual resemblance with it’s predecessors however new body panels add a bit to the new looks of Vauxhall Corsa 2015. Front fascia of Vauxhall Corsa gets redesign through all new trapezoidal grille sitting amidst the headlights incorporated with daytime running lights. Across the sides ‘blade’ provides a more sculpted look running across the lower door-section and right above the door sills, making its way till the rear fascia of Vauxhall Corsa 2015. Now switching over the back-end of Vauxhall Corsa 2015 changes aren’t much but they are enough to stand with the highly re-worked front part. 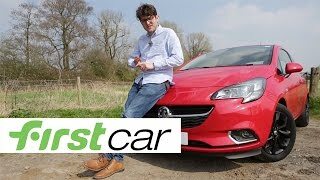 Vauxhall Corsa 2015 provides its buyers some interesting powertrain options, queue begins with 1.2 Liter engine delivering 69 hp and marches ahead towards again a familiar 1.3 Liter CDTi engine with 74 or 94 hp and reaching till the 1.4 Liter turbo and normal engine that delivers 99 hp and 89 hp respectively. However apart from these familiar ones we have a new option as well with the 1.0 Liter three-cylinder turbo engine delivering either 89 hp or 113 hp and with peak torque of 170 nm. Engines come paired to six-speed manual transmission as standard while company provides an option to go for all new six-speed automatic transmission also.